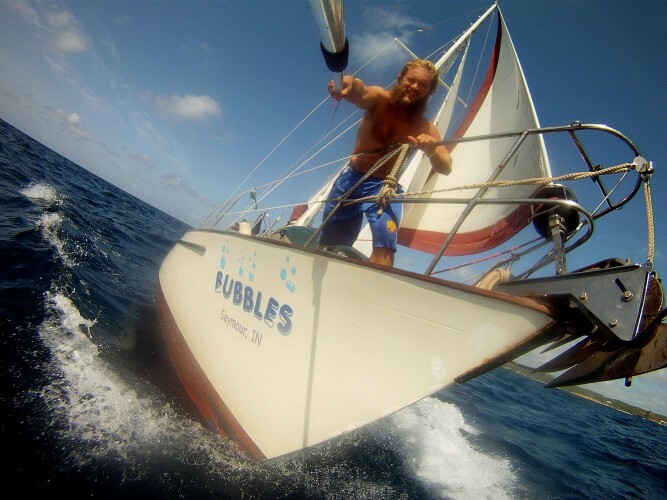 In September 2016 was finally released “Chasing Bubbles”, the documentary made out of the amazing footage Alex Rust made during his circumnavigation aboard Bubbles (February 2010/ July 2012). The documentary, fully available on youtube to stream or free download, it’s technically very well done, and as fast and astonishing as Alex is. It has been financed by a crow funding. Otherwise, well, that’s just my personal reflection about this zany person and his incredible appetite for adventures. A bit too yankee for my tastes (and maybe too rude with animals? ), but definitely brilliant and open minded. A real traveler, who emancipated from the legacy of his father (a successful self-made man) fulfilling his need to succeed not trough work and money, but trough the chase of adventures. And a last note: his memorial webpage is rising funds to help the children of an orphanage in the Northeast Region of India called Eden Gardens. Nice initiative, but the orphanage is run by Jesuits; I would prefer to support children trough some secular organization.